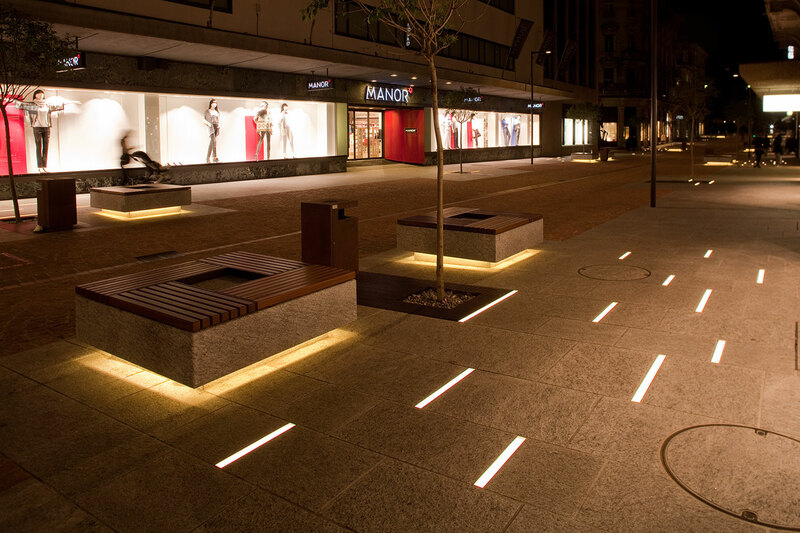 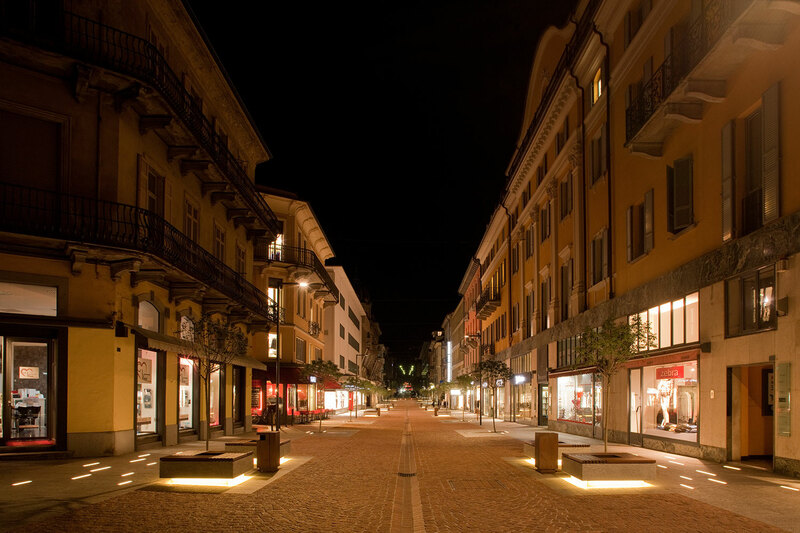 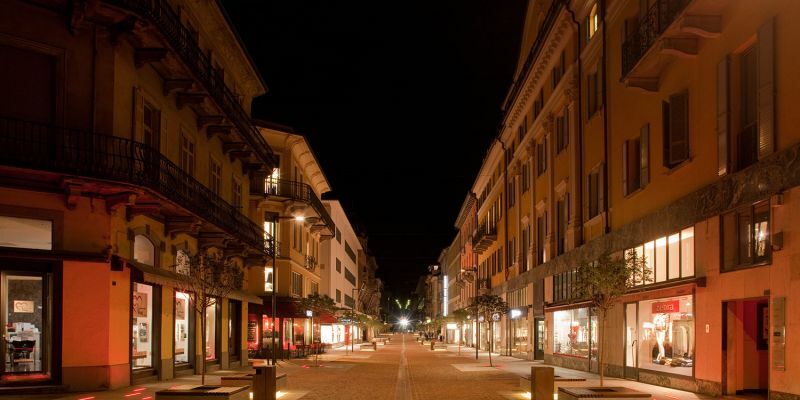 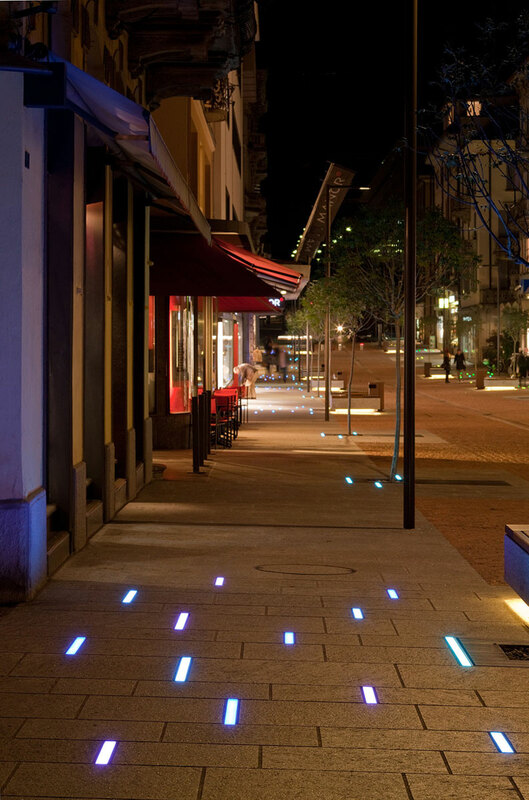 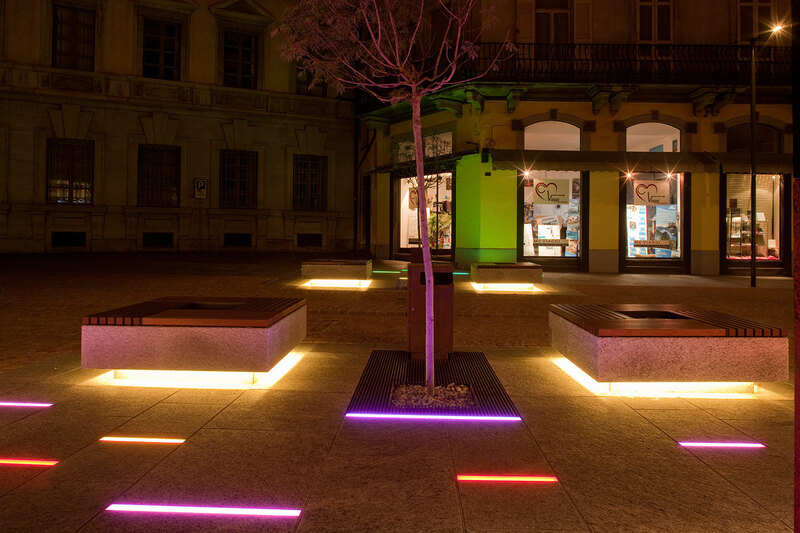 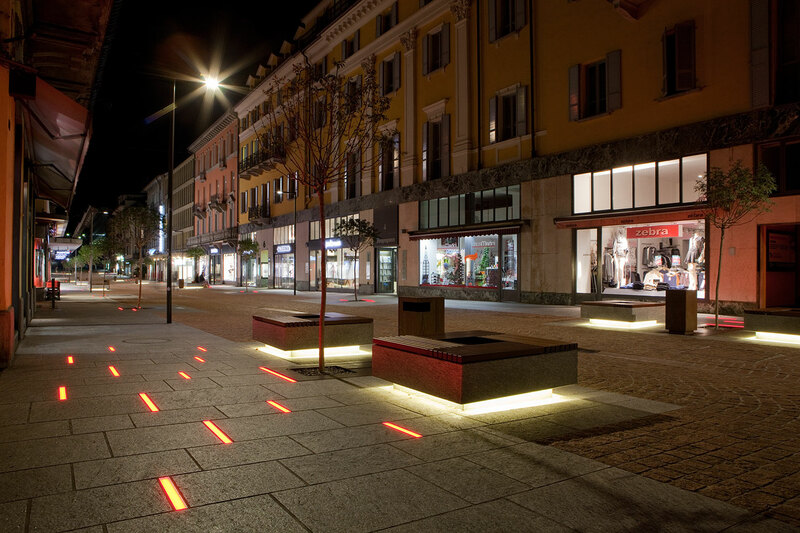 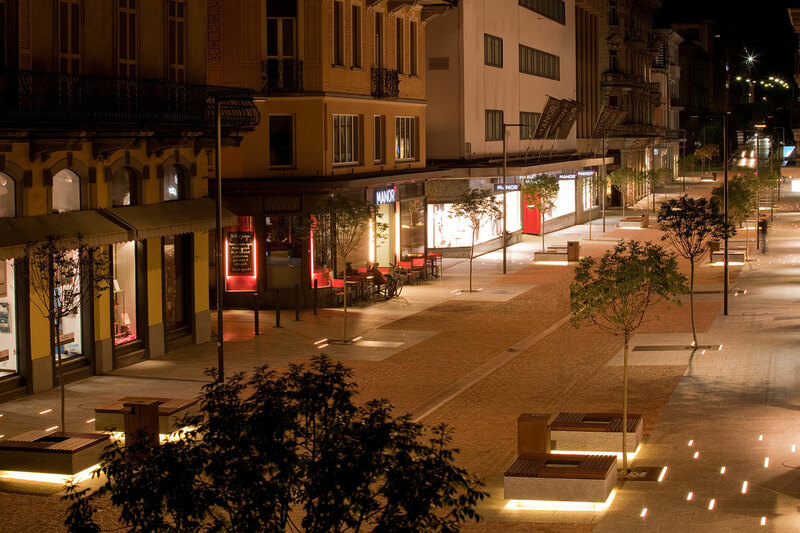 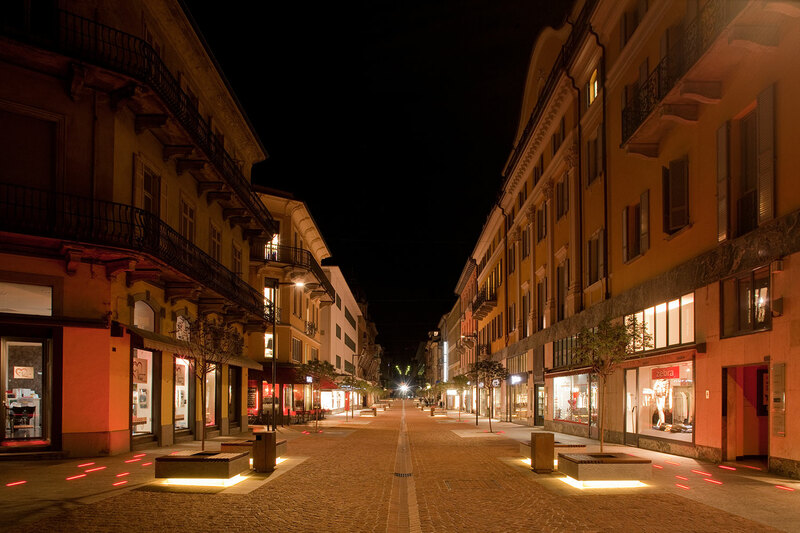 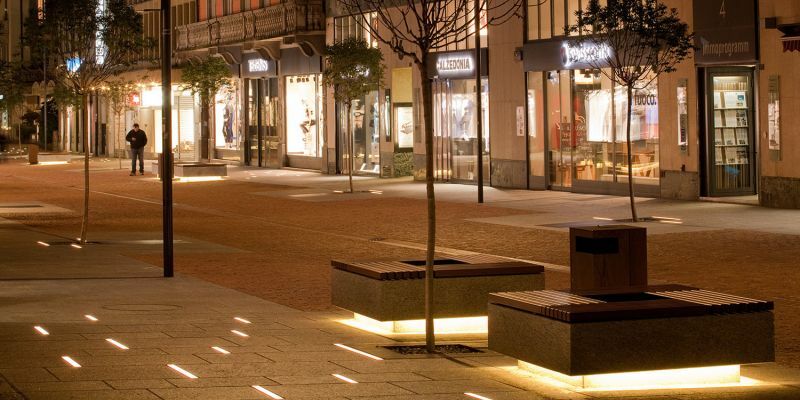 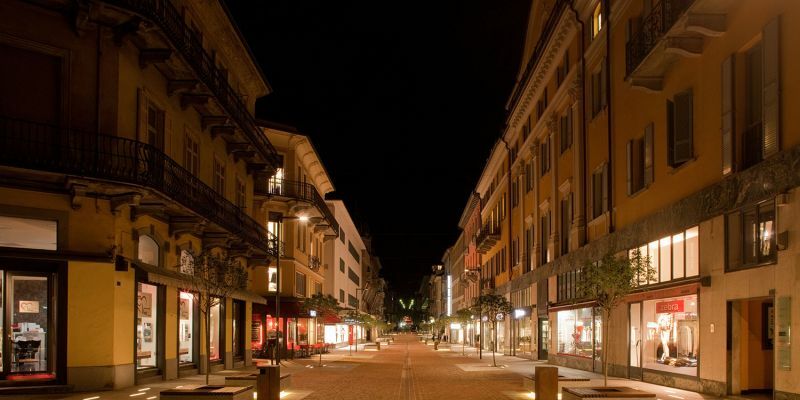 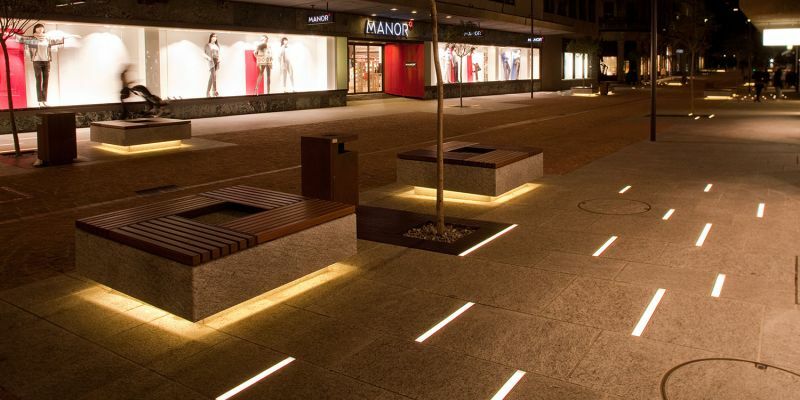 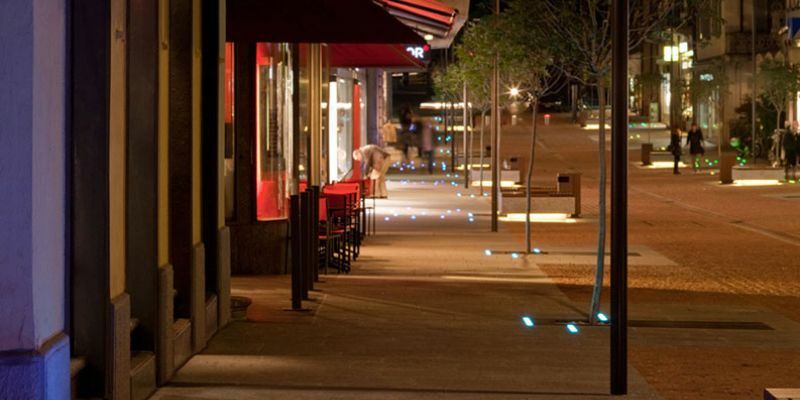 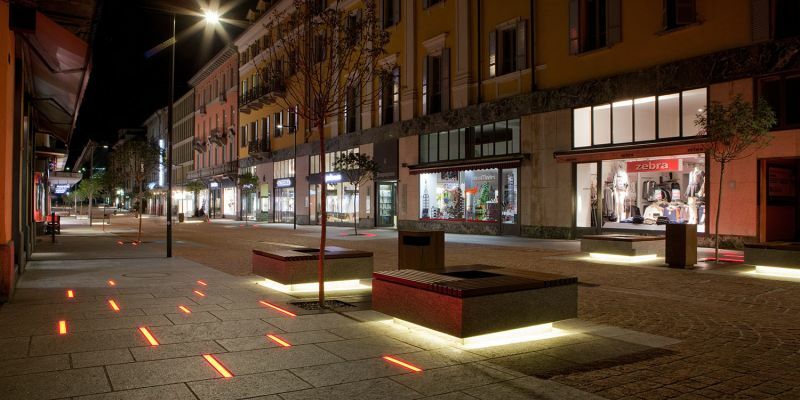 The lighting intervention will allow the citizens to “live” the lower side of Viale Stazione even during night hours, thus prolonging the pleasure to enjoy a safe environment after sunset and favouring the development of social and commercial activities. 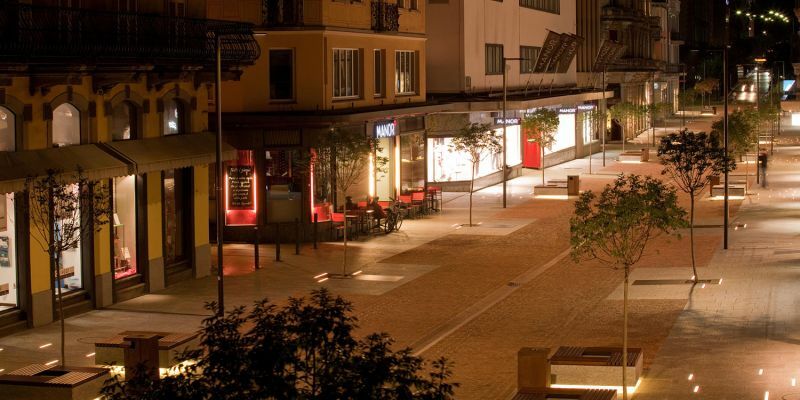 The night will be a wonderful and incomparable occasion to perceive the context in a different way: the new light will show images, glimpses and views that are unexpected during the day. 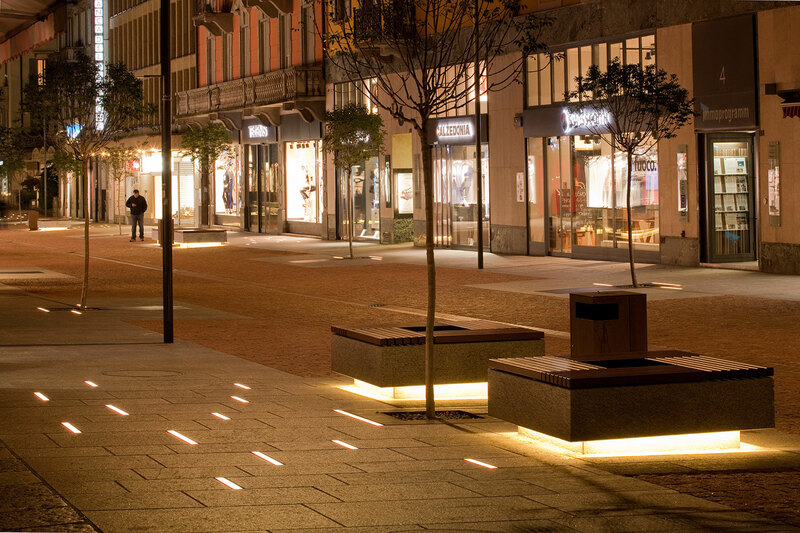 The new lighting will be managed and controlled by a system (LM&CS) that will allow creating different light scenes giving birth to “multiples” of the same space. 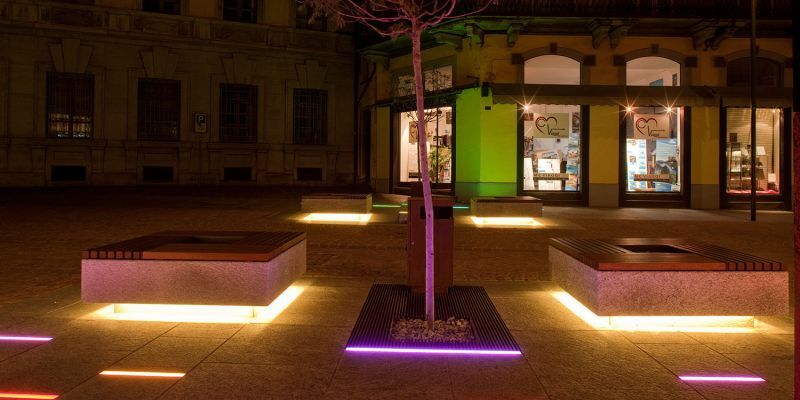 Moreover, it will be possible to customize light scenes according to the calendar of events in order to enhance the aesthetic of the place and emotion the visitors.